The IHC-Tek Epitope Retrieval Set utilizes steaming method to achieve antigen unmasking on formalin fixed paraffin embedded tissue sections. This set comes with IHC-Tek Epitope Retrieval Solution Which is newly formulated solution and can be used universally for retrieving antigens and epitopes of all types, including membrane proteins, cytoplasmic proteins as well as nuclear proteins. 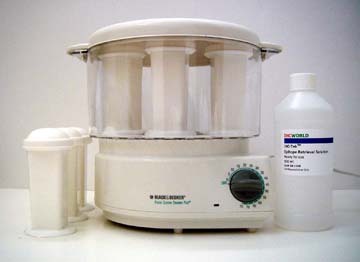 All images below are results from this Epitope Retrieval Steamer Set.